Dave Kern is a builder and pilot who loves capturing the moment, and recognizing talent in the world of radio control aircraft. Dave is an Officer and Historian for the Fort Wayne Flying Circuits, and flies with the SAM 28 Old Fort Fliers. Fire Pit is Installed and Ready for Use. 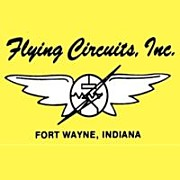 © 2019 Fort Wayne Flying Circuits.